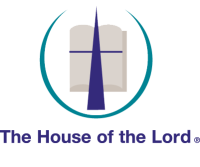 Below you’ll find a listing of different ministries at The House of the Lord led by our ministers, pastors, deacons, and other leaders. There is something for everyone to get involved and connected deeper in relationship with each other and with our great God. Gathering and serving ministries include those that happen during worship gatherings or special corporate events for the House of the Lord. For example: coffee connection ministry, communion, altar workers, greeters, information booth ministry, prayer warriors, and more. Receiving those that responded positively to the call of salvation by praying with them at the altar. After worship service fellowship with snacks and beverages for the congregation. Staff pastors, ministers and deacons assist Bishop Johnson in serving communion on the first Sunday of each month. Those who are sick and shut-in may request communion by contacting Deacon Brian Jones or Pastor Delphine Allen. While often behind the scenes, the parking lot ministry provides the strategic guidance for successful completion of many events for a church with many members. By directing members and visitors to their respective parking locations, our visitors may attend an event with a greater sense of order and safety. Welcoming all that come through the doors of The House of the Lord® with a warm greeting and a touch. Provide information about ministry events within The House of the Lord® to members and guests. Prayer ministry before, during and after worship services and special events. Assisting members and visitors on directions around the premises as well as finding a seat in the worship centers. Facilitating orderly transitions. As a profession of faith and obedience to the commandment of Jesus Christ (Matthew 28:19), all believers in Christ should be baptized. Before being baptized, candidates must attend the Water Baptism Class, which is held on the fourth Sunday of each month at 8:45 a.m. Water Baptism Service is held on the first Wednesday of each month.